To provide 100% transcription services to all of our customers, and to exceed customer expectation with regards to product, service, and delivery. I just wanted to offer my profuse thank you for the amazing services provided by you and your team at Audio Transcription & Secretarial Services (ATS). Not only are the transcriptions well-formatted and accurate, the speed with which they were returned was simply incredible. Less than a week after Lenna had received the confirmation of my order I received all of my transcriptions. The quality of the audio I sent through was not great at times and yet the turnaround was very fast. I am thrilled with the quality of the transcriptions and the rapidness of delivery. It would have been an immense stress and burden trying to achieve what you have returned in under a week! If I ever have any further transcription needs I will be sure to bring my custom here again". We have been super impressed at the promptness and quality of the transcriptions and look forward to working with you again in the near future." "I wanted to thank-you and your team for your wonderful work. Your expertise and quick turnaround has allowed me to focus on the writing part of my thesis, so I am extremely grateful. I will be sure to recommend your services if I ever hear of someone needing transcription support." "I am an academic who employed ATS to transcribe a large number of interviews that were highly sensitive and confidential in nature, and found them to be the perfect service for my needs. Their procedures enabled confidential and speedy transcription and the professionalism of the Director and team was second to none. I would definitely recommend ATS to anyone who requires an efficient turn around where ethical considerations are of the upmost importance during the transcription process. " Thanks for this Lenna – we appreciate the patience and professionalism you have displayed. We hope to work with you again in the future. "Lenna and her team have an impressive service level, and impressive turnaround time on urgent projects. Recently, I provided Lenna with some audio that I needed transcribed for evidence. The audio my client provided me was of a very low quality. Regardless, ATS were able to make a silk purse out of a pig's ear. Well done"
"We engaged ATS to help us when we had a large evaluation project underway, with a lot of interviewing happening in a compact period. We were really happy with the service provided by ATS: Lenna and her team bent over backwards to meet our time-frames, dealing with some challenging audio quality and some challenging interview content in an admirable way. I would happily use ATS again in the future." "Mālō 'aupito Lenna! Your service has been greatly appreciated and was accurate and very timely. Will keep your company in mind for any future transcription requirements". "Thank you so much for responding so promptly and for your assistance on Saturday, and for answering all my questions. The transcriptions are very good and I'm so pleased I can get onto analyzing my data already, which for me, is super awesome - I'm SO very pleased. Moments ago, I was telling a colleague how in awe I am of your services. From just this time last week, that I called you, to now; only one week later, and I have 21 transcripts printed, in my hands - that’s super-efficient. I would never have, given all the time in the world, been able to do what you and your team have done for me this week. I am beyond words, happy! In one week! I only wish I had made contact sooner." "I have had the pleasure of working with Lenna who has produced a very high quality output, and given work in hand a very fast turnaround. I have no hesitation in recommending Lenna to anyone wishing their transcription done in a professional and timely manner." "You are wonderful!! Thank you!!! Fast turn around, accurate transcription. I appreciate your assistance so much!! Thanks Lenna! I'll be in touch with my next project! So happy I was referred to you :)"
"Thanks very much for the swift service Lenna. Its much appreciated." "Legend! You're amazing, thank you so much!!" "Kia ora ano Lenna, crikey, that was fast! Many thanks." "Looking forward to working with you thanks again you are literally SAVING MY LIFE!!!" "Hi Lenna, that’s perfect, thank you very much for getting this done in short notice, we greatly appreciate it." "Thanks for your fantastic work on the video transcriptions recently!" "Big thanks for preparing the transcripts with such haste!" "Thank you, Lenna, for doing it so quickly - excellent work." "Hey Lenna, thank you, and your team, for the great service. It has made a big difference." Thank you and your staff for speedy attention and for all the work. Much appreciated." 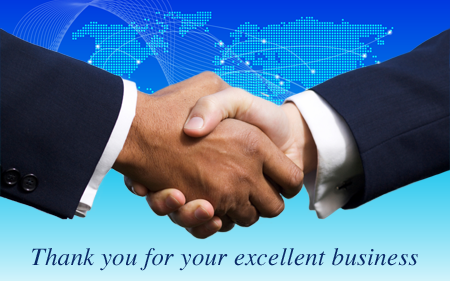 "Thank you so much for your prompt and business-like service. I shall recommend your service to other postgrads, doing mixed methods studies." "I would like to thank you and your team for the amazing job. Professional, friendly, confidential, attention to detail and super fast turnover, I would not hesitate to work with you again or recommend your service". ATS was highly recommended to me by a Weltec Student. As soon as I contacted them they responded super quick. In 24 hours my video was turned into a Mp3 audio and I had received a very detailed written transcript back by email. Affordable, friendly and excellent transcript service, I can recommend ATS to anybody". "Thank you for being such a wonderful professional and for helping me so many times!" "Brilliant Lenna, thanks ☺. Please thank your girls too, great accuracy and speed." Excellent Lenna. Thanks so much to you and your team for being so expedient!" "You are in my list of people I will use in the future. That is, you are my dictation transcription people from now on. Fast accurate and a good price cheers." “Thanks for everything Lenna. You must have supersonic ears to be able to decipher between the mutterings, the coughing and the low mumbles and to then put it into written form. Fantastic service with a quick turn around. Extreme efficiency, much appreciated." Lenna and her team provided excellent, fast and professional services. Lenna stayed in touch throughout the transcriptions to ensure I knew exactly what to expect and to make sure her team could cater exactly to my needs. I had both English and Māori in my interviews and all were accurately transcribed. Lenna made sure she asked me about any Māori words they were unsure of, so that the final results were close to perfect. I also asked her to index my transcriptions by pulling out recurring key words from each of the interviews. This was very helpful for starting analysis of the data. I would definitely use ATS again, and enjoyed Lenna's friendly and helpful manner." "I would just like to thank you for the quality of the services you have provided. I have found it very easy to get what I needed and you have been very prompt with your work." "Thank you Lenna for your quick response time! That is amazing! Thanks again for your prompt and excellent work - the transcripts are perfect! I had forgotten to ask you to identify speakers by gender when names weren't provided (where possible), so it’s great that you had done that). I still can’t believe how fast you and your team finished these! I will definitely be recommending your services to my colleagues." "Ehara koe i a ia Lenna! Gosh you do such a good job. I want you to know I sing your praises every time I get one of these transcripts back because it would literally take me an hour - or three (S L O W!) and it's such a relief to get the work done." "I've just checked the transcription, and it was faultless, and the capitalization was all correct. So thank you both. Could not do this job without you." "ATS always provides me with first rate medical transcription with fast turnaround and the highlighting of any areas that I have not been clear in my dictation. This cuts down on the time I need to proof read my letters and allows more efficient use of my time. This combined with the reliable service Lenna and her team provide has greatly helped us in our success so far"
"Fast turn-around, accurate and competitive with pricing. This has been my experience with ATS for transcribing interviews using a Smart pen and also Skype recordings, I would fully recommend them." "Wow this was lightning fast thank you. I look forward to working with you again." "Talk about efficiency! That's an excellent turnaround. Brilliant. Your services have been incredibly fast and efficient, and your communication, excellent. Thanks again for being super responsive." "Wonderful, saved my life. Thanks Lenna." But look here’s the thing… It can’t be free, you have to charge for your fab service and the main reason is that we want you to stay in business!!" Thank you so much for this. Thank you for your very prompt and professional service. "I have to say that you do a fantastic job on all references, your service is exceptional -thanks so much for your help." "Your work is always spot on and lightning fast, something we value greatly in the quick turnaround world. Many thanks Lenna." "Thanks for all your awesome work!" I wanted to let you know that I am very grateful to have received a recommendation to engage Audio Transcription Services when I recently needed some urgent transcription undertaken. Your service is prompt and efficient, and met the needs for the project I’m working on exceptionally well. Even when I ask for an additional file (of some length) to be added to the transcription tasks, your service still managed to meet a deadline that I thought was a difficult undertaking in the first place. Everything was well done. I also appreciated the way that you kept me informed of progress, and the clarity of your communication throughout our negotiations. I would happily pass on the recommendation for your services, and I’ll no doubt come back to you the next time I need some transcription undertaken (hopefully, though, without such urgency in future)." Thank you for your exceptional transcription services. Your prompt turnaround and excellent communication has made our job much easier." "Thank you so much Lenna for the prompt and professional service." "I can confirm Lenna's work, she has done an incredible job. Thank you Lenna,your work is great. I am very happy to endorse you. I will very much hope to have need of your services again." I cannot thank you enough for all you've done - you have helped me tremendously throughout my research. Without your awesome work, I would have probably gone insane! Not just the work you did for me, but the way you stay cheerful and positive all the time really influenced me." "Amazing thanks Lenna! You guys are so great to work with, thanks again for all your help!! :)"
You do a fantastic job, and I appreciate it. Thanks Lenna." "I worked with Lenna in June this year to get a number of transcripts produced in a very short time frame after another provider had undertaken to do the work and then forgotten to do so. Our project was a qualitative discursive analysis of one to one interviews and so a high degree of detail and accuracy is required. I found Lenna excellent to deal with – she is a timely and clear communicator – and we were easily able to agree on the detail of how we wanted the work done; the work was completed before time and its quality was as required. I wouldn't hesitate to recommend Lenna and her services." "Thank you so much for the quick turn around & the wonderful quality of your work. I look forward to continuing our relationship in the future." "Thank You so much Lenna! Your work is second to none." "Lenna, YOU ARE A LEGEND!!!!!!! Yeeha!! – so clever – so skilled – so fabulous – so quick. We really appreciate your work & I’m sure you will be delighted to see that I have done more work for you to transcribe." Many thanks for the very thorough work you and your team accomplished. I believe it was not an easy task taking into account the scope of the international meeting, 40+ different accents and the transcription based on video files. The quality of the final outcome (85 pages) is superb and we really hope to use ATS services in the future. It was a pleasure to work with you and your team." Thanks again, we are very happy with the speed and accuracy of the transcription and verbatim services. Thanks so much for the speedy work. I have been very impressed and look forward to utilizing your services going forward." You and your team are AMAZING!!! Thank you so much for such a thorough, fast and professional service - it's always a pleasure to work with you." "I used Audio Transcription Services for many many hours of transcription work for my Dissertation. They always provided very fast and good transcription results, and they offer an excellent and responsive service. Thanks for your work." "I can't express enough thanks for the incredible fast and diligent work from Lenna! I needed some transcriptions of PhD interviews to be completed within a very specific and prompt deadline and Lenna was just incredible! Excellent and fast work and I couldn't be happier with the transcripts. Thank you so much Lenna! Cheers." "I asked Lenna to provide transcription services for 3 different audio files. The quality of the transcription was excellent, even when the quality of the original audio was not. Lenna provided a quick turnaround while still ensuring the quality and consistency of the final deliverables. She made the entire process simple and easy and she was a real pleasure to work with. I have recommended her to colleagues and look forward to engaging her services again in the future." All I can say at this point is thank you, thank you, thank you. I must confess I had my doubts because of past experiences. However, you have truly made me a believer once again. Thanks again for your patience and your impeccable work ethic. I look forward to working with you again." Thank you for some great work this year, you have really helped make us successful and given us the opportunity to expand as we have!! "I also wish we could choose only people that speak good English as referees:) - which is precisely why your expertise is super appreciated! Thanks a bunch Lenna:), this is great editing." Thank you for the excellent work. Much appreciation." I am speechless with admiration. Thank you very much for the amazingly quick turnaround, it is very much appreciated." You and your team have been absolutely wonderful." "Lenna and ATS have provided an outstanding professional transcription service – the turnaround time, accuracy, and professionalism of the service is extraordinary. Lenna is great at answering questions and she made the technical side of file transfer so straightforward! She gave me the utmost confidence in the confidentiality of the interview material, which is so important in the research I am doing. I will be using her transcription services again and I will be recommending her to my colleagues." "I want to thank you for your prompt work on this transcription. My boss agrees that it is a very high quality." "We used Audio Transcription Services for 30 multi-speaker verbatim transcriptions. This was a difficult task due to factors such as over-talking and sound quality. We were very impressed by Lenna's quick turn around and professional attitude. My colleagues and I would definitely use ATS transcription again." You are amazing, the turnaround is astounding and the quality of your transcription consistently excellent :-) Thank you and keep on trucking!!!!" "Seriously impressive turnaround, Lenna, thank you." "Thank you Lenna! It looks amazing and I'm thrilled with the result and your services." "Lenna is very technically proficient and has always performed well above normal expectations, and has always shown a willingness to learn and to improve her technical skills. She always makes sure her work is of the highest standard and is always prepared to go one step further. I have been served well by her on the occasions I have had to use her service to meet deadlines. She is reliable and her integrity is beyond reproach." Thank you very much - likewise, your service is amazing." "Meant to say too, top work on getting all those exotic timber names right. I've never heard of most of them and couldn't even hazard a guess at the names when my interviewee spoke them! When in fact checked the article last night, every one was spot on. Impressive indeed!" "Hi Lenna, thank you for your kind comments about my book. Thanks for your excellent service, I will certainly tell others." "Wow, that was fast! Thanks Lenna. I’ll be coming back to you with more. Excellent." I will DEFINITELY use you again and recommend you strongly." Very impressed with your prompt return of transcripts!!!" "Hi Lenna, My thought on your service was definitely beyond my expectation. Your customer services was exceptional and accommodating. Though the price is high (for a student), the quality of the transcription given the tight dateline made it worthwhile. I will certainly use your services again soon." "Thank you so much for being my right-hand person, Lenna. Truly don't know what I'd do without you. Hope you have a wonderful festive season and brilliant 2012." Thank you, that is terrific. Great service, I am impressed." "Outstanding! Thank you for the fast turnaround. Thanks so much, Lenna!" "Wow, you guys are so fast!! Amazing : ) Thank you! Saved me a lot of pain and heart ache!!!" "Thank you Lenna for the productive weekend. I have to say that I am truly impressed with the speed at which you’ve delivered these; our usual transcribers simply cannot match this pace! Thanks again for your impressive service and quality on this." "Seriously, I have just checked transcript and am blown away again! Only name changes to fix but basically everything else is perfect. We are a match made in heaven! It is such a huge relief that you know Maori words and terms. I fully believe I would have had more work editing if I had got someone here in ... to transcribe. I cannot believe my good fortune finding you. Thank you so much for all your help. I really truly appreciate it! Especially when I get up in the morning, check my email and BAM!" Many thanks for all of your hard work on these transcripts. I am working through them and I particularly appreciate your efforts with the more difficult/hard to hear ones." Thanks so much for your prompt and accurate transcribing. It’s made a huge difference to my project to have the interviews turned around so quickly. It’s been a real pleasure working with you and I’ve already recommended you to several of my fellow students." "We had some issues with our previous transcription service, and then we found Audio Transcription & Secretarial Services (ATS). The last year and half since we have been with Audio Transcription & Secretarial Services (ATS), we have had no problems or issues whatsoever. Lenna and her team are miracle workers! Every few months we send Lenna and her team about 20 hours of audio and we have requested a very strict turnaround time. We send multiple audio recordings that sometimes have background noise or rather challenging accents and Lenna and her team go above and beyond to transcribe the files accurately. We have never been disappointed!" Have thoroughly enjoyed (am enjoying) your mentoring and teaching - you're obviously very good at this and know all the nitty gritty stuff, I'm just so rapt that you agreed to take me on and share your knowledge :-)"
Thank you so much for your prompt service, you're an absolute star. And I am more than happy with the price. Can't believe that you were able to do this so quickly considering I only spoke to you yesterday. Will recommend you to anyone else without hesitation:)"
"Top drawer! And thanks again for the swift turn around. Have a lovely week. Best..."
Thanks for turning these around so quickly!" Thanks very much... Just wanted to say a huge thanks again for all your hard work transcribing the health service provider interviews that I conducted. I really appreciated your incredibly quick turnaround time, as well as your professionalism and wonderful customer service." Thank you very much for your efficient prompt service. I do really appreciate your attention to detail and the quality of work. I certainly recommend you to anyone who needs transcription services." "Great thank you! You and your team are amazing! Thank you so much for all your hard work :)"
I have proofed half of the interview and the transcription looks great. Appreciate your attention to detail!" "I am a Lawyer based in Brussels, Belgium, doing international work in Europe, the USA and China. I contacted Lenna in 2010, in the evening, requesting urgent work to be carried out to meet a deadline. To which she transcribed some legal documents for me and returned them the same evening, before my flight to another country. Whenever I am travelling and in the process of finalizing contractual deals that need to be typed or reviewed, it is always reassuring to know that Lenna will be available to help me. She has carried out the following services with precision and promptness: legal transcription services, proofreading, editing and reviewing documents, drafting legal documents (termination notices), secretarial services." "I would like to take the time to acknowledge my team of skilled transcriptionist's, who work tirelessly to assist ATS with transcriptions, urgent orders, 24 hour turnarounds of a substantial volume of recordings. Often requiring rearranging their husbands and children, to accommodate! They recently assisted with an order from USA. They came through with commitment, readiness, and execution of the work assigned to them. THANK YOU for your dedication and service." "Lenna is the 4th transcriber I have tried during my research process and she has provided me with the most accurate transcription. I have already reviewed the audio file and done my analysis; because it was virtually perfect transcription I was able to concentrate on the content and not on having to correct errors. I am very pleased. Thank you." "I would just like to say many thanks for all the work that you put my way during the year Lenna. It is a pleasure to deal with you as you give good instructions and keep in contact." "Thank you again for your efficient, prompt work. I really appreciate it and will definitely spread the word." "I am a student from Waikato University. I used Audio Transcription & Secretarial services several times. All transcripts completed during a short period of time in an effective and efficient manner. I recommend other researchers to use such services in order to save their time and effort." "I have never had to do any transcribing so I didn't know what to expect when I contacted Lenna on a recommendation from one of her previous happy customers, but I was certainly not expecting an one-hour interviews to be transcribed and returned to me in only few hours from submitting them. Lenna kept surprising me most pleasantly throughout the entire process - by maintaining regular and timely communication with me, paying attention to all the details and understanding and accommodating my specific needs when it came to transcribing all of the interviews for my Master degree research. Thank you, Lenna and the team!" "Hi Lenna, just as FYI – the assignment you helped me on two months ago, I received feedback that I topped the class for both the assignments, so really happy and I must say I wouldn’t of got it without you. Thanks." Many thanks for such a great turn around time. I am extremely happy with your service and will let everybody know about you." Thanks so much for your prompt service. I really appreciate it and the quality to which the documents were produced. I will certainly refer you to other individuals and organizations." "Thank you so much for all your hard work, we have really appreciated your services and would definitely recommend your services to anyone here requiring transcription." "Thank you for your efficiency - I am amazed how quickly you have been transcribing all of the interviews so far and I will, definitely, recommend you to all of my friends who will have a need of transcribing services in the future!" Fantastic work, as always. Much appreciated." "Lenna this is awesome. In previous projects I've done this all myself and I know just how time consuming it is, so I'm amazed by your speed - particularly because I'm sure you'll have more than just this project to work on. And your ability to work out who is who... Thanks so much"
"Kia ora Lenna, thanks for a great service." "AWESOME JOB, THANK YOU SO MUCH TO YOU AND YOUR TEAM!!!!" "Lenna, I just want to tell you how amazing and impressed I was to receive your work. It’s such a big difference to have the line breaks, punctuation and clarity when looking at what needs to happen next. It really helps set the standard for moving forward. "Thanks for the update Lenna- brilliant job on the transcription and getting it done so quickly! You are definitely a welcomed addition to my success team. I'm getting great great feedback about the transcripts from the BSIAW attendees, and wanted to commend you on your professionalism. Excellent. And thank you for the great work. I really mean it- it was a lovely surprise! I would like to hire you in the future for services, too. I would like to use your service in the future for writing books. I have received the transcript. Thank you for your great work. Thank you so much Lenna. I’m sure that we will do business again in the future." "Thank you for your work Lenna. Your work was fast, professional and very competitively priced and the transcripts are excellent. It was a pleasure to use your services and I will be sure to keep you in mind for future work and to recommend you to friends and colleagues." "Thanks for all of your hard work Lenna. You have been very prompt and professional, and I have been very impressed with the quality of the transcriptions." I do have some more to come... You offer a very impressive service!" You're a legend, your response time exceeded all expectations!" "Thank you for your brilliant service - will absolutely recommend you to anyone." "Many thanks for being so fast with everything, it’s a huge thing for me as this project involves a very tight time frame and I’m fitting it in around lots of other things. I’ll contact you again next time and will also recommend you to people." "Thanks so much for this Lenna – you have done an amazing job! I really appreciate your fast turn around on these." "Hi Lenna, Thank you for your work. I appreciate your service and professionalism. Looking forward to calling on your services in the future." "Dear Lenna, thanks so much for getting this done so perfectly. I appreciate it very much. I’ll certainly be in touch with some new interviews in to the future. Thanks again for all your work. Please accept my most sincere thanks and appreciation for all help. It was a good experience working with you. I wish you all the best and good luck with your business." I would like to take this opportunity to express my heartfelt thanks to you for transcribing my interviews in a timely fashion. I never thought I can get all the transcripts so quickly, especially during the Christmas time. Once again, thank you very much for your help and wishing you and your family safe and happy holidays, and a very healthy and prosperous New Year." I appreciate how difficult it is to distinguish between the voices and to 'get' some of the jargon words that don't quite sound right in context - so given all this the quality was extremely good. It was much easier for me to go through and make any changes and to fill in words where you'd left the time-codes when I could see and hear the context of the discussion. So overall, very impressed. Thank you." "This is much appreciated!! You have done an excellent job for such difficult audio and I really do appreciate it." "Thank you very much for such a great service." Both transcripts look great... thanks for your speedy work." "As a university student I have found your service to be excellent. I sent Lenna several hours of interviews and received the transcripts back extremely quickly.The transcripts are accurate and professionally done and I would not hesitate in recommending you to others'"
"Many thanks for your quick and friendly service." "A friend of mine in the US recommended finding such a service online and I was pleased to find someone local. Lenna of ATS demonstrated good communication from day one, resulting in a very fast turnaround of several hours of audio from Hypnosis training sessions. I was pleasantly surprised to see such accurate transcripts, especially given the specialist subject matter. If you have considered transcribing any of your audio and video files for documentation of any kind, I wouldn't hesitate in recommending ATS. I will also be recommending them worldwide as I have found the rates to be internationally competitive. I'll definitely be using this service again myself. It's a no-brainer!" "I have found your service to be excellent. I sent 11 interviews and received the transcripts back, for all of them, less than one week of sending them to you which is superb! Not only have you provided a quick turnaround of the interviews but the transcripts are professionally done and are a clear and accurate record of the audio recordings. There was quite a bit of Maori language in the audio and this has been transcribed correctly in all of the interviews. You have kept me informed throughout the whole process and when unsure sought my direction which I appreciate. I really appreciate the top quality service that you have provided for such a reasonable price. At all times I felt that you were trustworthy and would treat the material that I sent through as confidential. I am so grateful that you have assisted me with this work and taken a burden off me in such a busy and stressful time. Thank you, I wouldn't hesitate to recommend you to my colleagues and other students." "Thanks very much for your prompt return of the transcript. It's great." "Thank you so much for your quick and professional service. I can hardly believe that within a day of deciding to transcribe the interview I had a full transcript in my hands! Thank you also for being able to provide a competitive service (especially for students) and being flexible on the cost estimate. I wouldn't dream of using any other service in the future"
"Outstanding stuff... super fast... thank you." "Brilliant thanks a lot Lenna. We will certainly be using your services in the future. You have been a fantastic service to us. Thanks a lot." "Thanks very much for all your help. Your transcripts are being used very effectively for the current book chapter. Thanks also for doing them so quickly. Your work is very much appreciated." "Lenna is simply brilliant. The fastest, most reliable and without a doubt most accurate transcription service that I have ever used. Don’t waste time or money elsewhere like I did … start with the best in the business." "Very prompt and accurate transcribing"
"Thank you so much, really appreciate your work! I'm going to have much more work in the future, and I'm more than happy to send it your way :-)"
"Thank you very much for your excellent work, Lenna. We very much appreciate your attention to detail, your swift turnaround, and your accuracy. Your service is much appreciated by our project." Dept of Human Nutrition, University of Otago. "Thank you for the service you have provided it has been greatly appreciated." "Your work is stunning and you are prompt and professional. I am happy to recommend you." "Thanks again for the excellent work. With kind regards." "Thank you very much for the interview! Your excellent service is, as always, very much appreciated!" "Lenna is intelligent, intuitive, and always thinks outside-the-box. She is also creative, resourceful, sociable, and always ready to assist in any way she can. She recently transcribed a conference call for me, and did an excellent job. I highly recommend Lenna and her company." "Lenna K. Millar is an independent contractor who did some transcription work for me and she has now become a dear friend. I have found her work to be of high quality and very professional. She was prompt in meeting her deadlines and she aims to please her clients." "Lenna was fast and thorough in her transcription of my interviews. Her communication skills are fantastic and I was regularly kept up to date with progress. Lenna was also very flexible and was able to accommodate my needs despite the difficult time frames. I would definitely use Lenna again." “We had Lenna convert 2 interviews, which for various reasons were quite hard. Lenna provided a great service and the communication throughout the process was top notch." "Lenna is an extraordinary transcriptionist. Not only is her work flawless, she is also capable of handling regional accents with ease. She is from New Zealand, but worked on audio files transcribing a panel of people with accents ranging from the deep South, Midwestern and Northeastern regions of the United States with nearly 98% accuracy. She takes great pride in her work and is incredibly fast. I sent her a large batch of files to work on and they were returned within 24-48 hours. She has reasonable rates (considering her speed and accuracy she could charge more) that are flexible as well. I highly recommend her services, not only as an end-client but also as a team member for fellow transcriptionists who have overflow work and need additional help." "Lenna is incredibly flexible, fast and understanding. I had a very close deadline and an overload of work, Lenna helped out immediately, taking into account both my budget and time frame. The work Lenna did was of excellent quality and Lenna was great to communicate with all throughout the process. I definitely recommend Lenna's services to everybody!" "At Anuko we build beautiful websites, however, sometimes we struggle to find people to check our clients' writing style, grammar and typos. Lenna (ATS) reviewed and edited the text for our website and got it back to us in a timely manner. Regards and thanks for the very thorough editing job done for us. I am very pleased with the fast turnaround, really appreciate the timeliness of your proofreading services. We will surely continue to use your service and recommend it to others." "I would absolutely recommend this service, professional and efficient communication and an amazing turnaround time on transcripts, wonderful job thank you:). Kind regards. “Lenna has recently transcribed a difficult and long file for me. I was impressed with the quality of her work and that she returned the transcript to me way before the due date. I look forward to working with Lenna again." "I contacted Lenna (and the team) regarding a quote for transcription of 21 files last month. From the word go, her phone manner was personable and follow-up in the initial quoting stage was very prompt and thorough - and she was offering a competitive special for that month. Once we had started transcriptions she was very open, honest, and professional in her communication, not to mention extremely prompt. She delivered all transcripts on time and to the quality expected and discussed. I was very happy with her service and recommend for others to use ATS. I will be in touch should I require further transcriptions." "Has been great getting the transcripts from Lenna, very prompt reply to enquiry and a quick turn around to get the interview transcribed. Great work as well on the transcription, perfectly done and well laid out." "Thanks Lenna - a 3 hour turn around was absolutely wonderful! Accurate transcription, and a link (Sendshack) on your ‘Links’ page was really useful for sending you my too large file. Many thanks again. "I am very impressed with the turnaround speed and professionalism that I have experienced using Lenna to transcribe interviews. She went above and beyond in assisting me with my requirements and provided excellent communication throughout. She was extremely helpful and made a stressful situation easier for me. I would not hesitate to recommend her services to others. A great job:)"
"Thank you very much for your fast and accurate transcription of my work. I would have no hesitation in recommending your transcription services, and wish you every success in your business"
"Hi Lenna, thank you very much for your speedy and excellent job. I have other interviews. All files, once finished will be offered to you again. I appreciate your professional expertise and will introduce you to my colleague students"
"It has been an absolute pleasure to work with Lenna. She has done a professional job, delivered files sooner than expected, communicated well with me and was flexible with all aspects of the job. I am very pleased with the outcome of this assignment and would happily recommend this service." "I really appreciate what you have done with my multiple interviewees in one transcript – very professional, no fuss. Be sure that I will promote your business where I can and I will certainly contact you for any on-going work for myself." "I recently engaged Lenna to transcribe five interviews for me and was very impressed by the transcripts she sent to me: she followed my instructions to the letter, the transcripts were extremely accurate to the recordings and all were delivered by the deadline specified. Lenna is a person who takes pride in her work and in providing excellent customer service. I would recommend Audio Transcription Services to all without hesitation!"